When I was 18, Poppy Things officially became a business in 2012. I didn’t know much, but what I did know was that I wanted to offer things that were thoughtfully made, made well, and created ethically. While at that time I lost more money than I made because I didn’t know anything about cost and markups, I knew that Poppy Things made me happy and my products made other people happy. As I furthered my education in fashion, grew my brand, and really developed who I am as a designer I was able to distinguish what it is that I want to offer to the world—and what I want to stay away from. I want my customers to know me. I’m building this business on the basis that when you are investing in a Poppy Things brand item; you are investing in a dream. You are investing in clothing that is designed strategically and with YOU in mind. 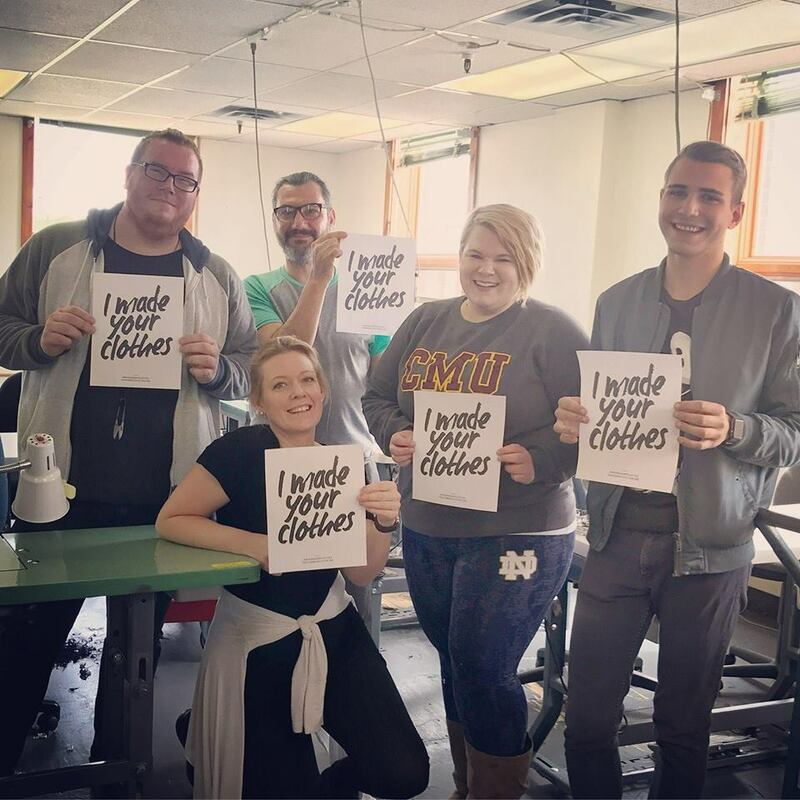 When you are investing in our brand, you can be 100% positive that happy workers in Michigan being paid a living wage are making your clothes. Not a sweatshop overseas. While it is impossible for me to cater to all of the design requests of my customers, I want you to know that I’m here to listen. There are so many holes in the women’s clothing market and not many companies who care enough to fix them. I want to be able to provide you with beautiful clothing that fits you well, and also doesn’t stop at size 12. I can’t promise that I have the solution for all of the holes in our market, but within my means I can try. I also want to offer you brands beyond Poppy Things that you can’t find in the mass market. If you purchase clothes that are from another brand that we carry—know that when I select these clothes I am choosing them because they are well made, fit how they are supposed to, and will be pieces you should be able to keep in your closet well beyond one laundry cycle. This is just the beginning. There is so much more growing and learning to do. All I can say is that you should just stay tuned because these next couple of months are about to get crazy. I’m just going to enjoy the ride.